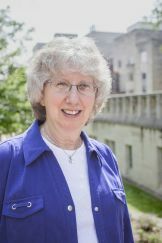 Karen Bush received a PhD in Biochemistry from Indiana University and worked in pharmaceutical research from 1973 to 2009, primarily in antibiotic drug discovery and development at Squibb (Bristol-Myers Squibb), Lederle (Wyeth), Astra and Johnson & Johnson Pharmaceutical Research & Development. Her basic research involved characterization of antibiotic resistance mechanisms (beta-lactamases) or mechanisms of antibiotic action in order to drive drug discovery efforts. She was a member of research teams that discovered and/or developed aztreonam, piperacillin-tazobactam, levofloxacin, doripenem and ceftobiprole. 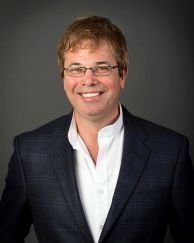 Dr. Bush has conducted various mechanistic studies on the mode of action of beta-lactamases and has collaborated to characterize key beta-lactamases, such as the earliest United States ESBLs, plasmid-encoded AmpC cephalosporinases, the first KPC enzymes and other recent carbapenemases in Gram-negative pathogens. She was a member of the ICAAC and ASM Microbe Program Committees, an editor for Antimicrobial Agents and Chemotherapy and mBio and is a Fellow of the American Academy of Microbiology. Dr. Bush is currently a Professor of Practice in the Biotechnology Program in the Biology Department at Indiana University. At IU she teaches courses in research ethics and drug development/regulatory affairs and leads a small research group that studies new antibacterial agents and novel resistance mechanisms in carbapenem-resistant Enterobacteriaceae (CRE). 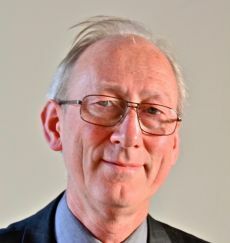 Prof. David Livermore gained his BSc in 1978 and PhD in 1983. He worked at the London Hospital Medical College from 1980 to ‘97 then joined the Public Health Laboratory Service (now Public Health England), becoming Director of its Antibiotic Resistance Monitoring and Reference Laboratory in 1998. In 2011 he was appointed Professor of Medical Microbiology at the University of East Anglia, where he remains. Until a partial retirement in 2018 he also had sessions supplied to Public Health England as its Lead on Antibiotic Resistance. Prof Livermore has a long track record of research and publication on the evolution and epidemiology of antibiotic resistance, particularly beta-lactamases. At PHE he tracked the rise of many emerging resistance types, from MRSA to carbapenemase producers. At UEA his work centres upon rapid detection of antibiotic resistance as a means to refining antibiotic stewardship. Prof Livermore has edited for several journals and serves on the Government’s Antimicrobial Resistance & Healthcare Associated Infection Advisory Committee. Outside work he walks: including, over 20 years, the entire 3000-mile perimeter of England and half of Wales. Paul G. Ambrose is President of the Institute for Clinical Pharmacodynamics (ICPD), Latham, New York, USA. He also served as an Honorary Research Fellow in Infectious Diseases at the University of Oxford, Oxford, UK and Adjunct Associate Research Professor at the University at Buffalo, Buffalo, New York. Dr. Ambrose’s areas of scientific inquiry primarily involve anti-infective translational science, with the goal of improving patient care through the application of pharmacokinetic-pharmacodynamic (PK-PD) principles. Knowledge gained through the use of non-clinical (in vitro and animal) PK-PD infection models may be leveraged with human pharmacokinetic data in order to discriminate between potential dosing regimens and thereby increase the probability of positive clinical outcomes while minimizing the potential for drug-related toxicities. ICPD has successfully utilized this approach for support of regulatory decision-making and as support for United States Antimicrobial Susceptibility Test (USCAST), Clinical and Laboratory Standards Institute (CLSI) and European Antimicrobial Susceptibility Test (EUCAST) susceptibility breakpoint determinations.